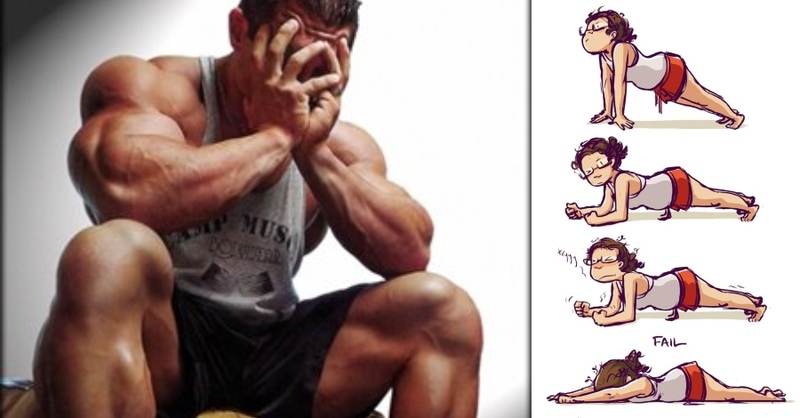 5 Most Pointless Gym Exercises That Will Blow Your Mind! With time being at a premium nowadays you need to cut out the fluff from your workout and pick exercises that are going to produce the results that you want with the time that you have at your disposal. When putting together a workout routine for yourself, it is always important to do so with your own personal goals in mind. 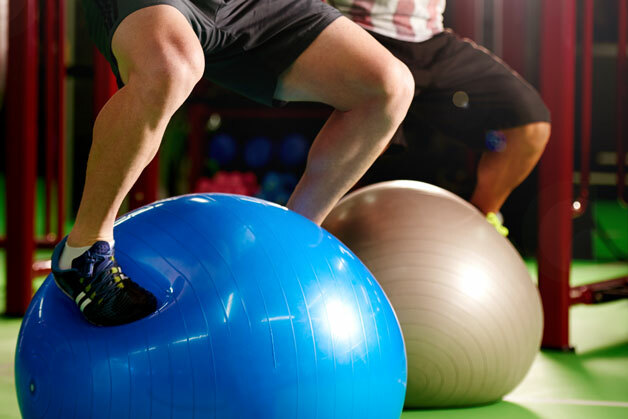 While all exercise will help you get into better shape and lead a healthy lifestyle, the things you’re trying to accomplish need to affect which exercises you choose to do on a regular basis. However, there are certain times in every fitness fan’s life where they choose an exercise to accomplish a goal and see less than adequate results – if they see results at all. There are certain techniques that may seem worthwhile, but in reality you’d be better off picking one of many viable alternatives. There are a number of shockingly popular exercises that aren’t just “slow” with regards to the results they produce – they’re all but worthless in even the best situations. Here are 6 exercises that you can cut out of your programme straight away to make room for exercises that will produce top results. Plus the replacement exercises to actually benefit your workout! Lifting heavier weights might be perfect for posing, but all true gym-goers know the truth: you’re doing it all wrong. A smith machine doesn’t activate your stabilising muscles, meaning it slashes your muscle-building potential. And that’s not all: the smith machine restricts your body from forming a natural back curve during a squat, which is a surefire way to lower-back problems. Leave your ego at the door and opt for this muscle-building classic with lighter weights. Barbell squats will keep injuries at bay, and supercharge your stability and balance simultaneously. Simple. Stand with your feet more than shoulder-width apart. This wide stance will allow a deeper squat, getting your glutes and hamstrings involved. Hold a barbell across your upper back with an overhand grip – avoid resting it on your neck. Hug the bar into your traps to engage your upper back muscles. Take the weight of the bar and slowly squat down – head up, back straight, buns out. Lower yourself until your hips are aligned with your knees, with legs at 90 degrees – a deeper squat will be more beneficial but get the strength and flexibility first. Drive your heels into the floor to push yourself explosively back up. Keep form until you’re stood up straight. There’s a reason why you only ever see the weird lycra guy with the pencil moustache in your gym use this machine – it’s not a good look or exercise. Why? Although it puts stress on your IT bands and hip capsules, that’s all it does. People often use this isolation exercise as they believe it will help melt the fat off their thighs, but compound moves will engage more muscles and burn calories faster. So all in all, it ‘s a waste of time. And it just makes you look like you’re training for a trip to the gynaecologist. As well as working your adductor and abductor muscles better than any machine, this compound move activates muscles at the top and bottom of your body, spiking your T-levels on the way. Plus, you’re not flaunting your groin to the entire gym, which is always a bonus. Choose an appropriate weight and place the barbell across your back. Step forward with your right foot and sink into a lunge, so both legs are bent with your back knee as close to the floor as possible. Drive yourself back up and repeat on the other side. Simply put: most guys use a dumbbell heavier than they can candle, which leaves them looking like a drunk guy trying to start a lawnmower on a boat. After a few reps you won’t be able to keep your arm straight at the high point in the exercise, which dramatically decreases its effectiveness. However, lightening the load won’t help either: no one ever built huge triceps doing hundreds of reps with a tiny weight. Simple but effective, this body-weight staple blows up your triceps (provided you keep your elbows tucked in), while also working every muscle group up top. It’s also one of the few upper-body Close Kinetic Chain (CKC) exercises. These are exercises that move your body while your hands (or feet) are in a fixed position, working opposing muscle groups as you’re lifting and lowering. In other words, add dips to your next workout to get bigger tris in half the time. Grab the bars of a dip station with your palms facing inward and your arms straight. Slowly lower until your elbows are at right angles, ensuring they stay tucked against your body and don’t flare out. Drive yourself back up to the top and repeat. Got your crosshairs on Popeye forearms? Although the spinach might help toning up top, wrist curls won’t. That’s because, you guessed it, it’s an isolation exercise that so specific in its target that it’s a waste of your time. And admit it, any time you’ve tried this you’ve hardly felt a strain. Don’t worry, you don’t have to be shaolin monk to nail this press-up variant – just a willingness to upgrade your upper-body. And don’t panic, it’s a lot easier than it looks and engages all muscle groups up top, which in turn boosts your metabolism. There’s a reason why this move appears top in the Navy Seal’s exercise handbook, you know. Get down into a press-up position with your hands placed shoulder-width apart and raise up onto your fingertips. Lower your body until your chest is an inch from the ground then explosively drive up by fully extending your arms. You know those Youtube videos with an ‘amateur PT’ who swears standing on a Swiss ball is the answer to all of life’s problems? Well, to the surprise of no fitness professionals, this exercise scores a big fat zero on the useful monitor. A squat is a squat, even if you’re on an unstable surface, so why open yourself up to unnecessary injuries? Be a real man; drop the balls and squat without the gimmicks. The no equipment squat builds lower-body muscle, increases your strength, charges your metabolism and maxes your mobility – all without a trip to A&E. Stand with your feet shoulder width apart. Start the movement by bending your knees and sitting back with your hips. Go down as far as you can and quickly reverse the motion back to the starting position. Keep your head up and back straight throughout the move.